March 18, 1927-April 9th, 2017. 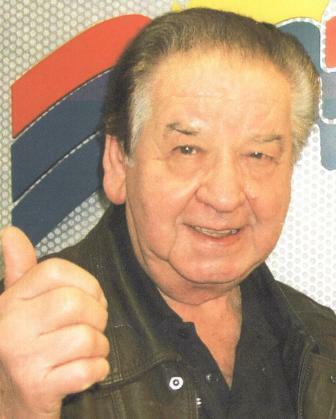 Stanley Peter Malanchuk passed away peacefully on a beautiful Sunday evening at the age of 90. Stan is survived by his loving wife Millie of 67 years. His sons Jim (Brenda), Doug (Lani) and his cherished granddaughters, Erica Malanchuk and Julia Malanchuk. Stan was born in Edson, Alberta an only child to Annie & Elias Malanchuk. Stan started his career with Canadian National Railway as a call boy and ended his 43 years of service with CNR as a Locomotive engineer in Kamloops. Stan met Millie, the love of his life (forever and always) in Edson. They were married on April 12th, 1950. They lived in Edson until 1962 when Stan took a transfer to Kamloops where they have resided until now. Stan was an accomplished carpenter, gardener and handyman. Stan could always be found working on a project or manicuring their beautiful yard. Stan and Millie loved their road trips together and did many. He was a wonderful husband, father and took the greatest joy in spending time with his granddaughters. He was a soft soul with a huge heart and always found the good in people. Never criticizing or judging others. He was well respected by all. The family would like to thank the staff at ponderosa and gemstone for their care, attention and their love for Stan for the past 2 years. As requested there will be no formal service. Treasure him in your garden of rest. In our world he was one of the best. I was so sorry to hear of Stans passing, I always enjoyed talking with him over the years when he visited with mom and dad and talked about the good old days in Edson and Kamloops. He was always one of the good guys and I got to ride with him when I worked for CN.